The sign has red header text: City of London and a selected or bespoke street name all conforming to City of London's style. 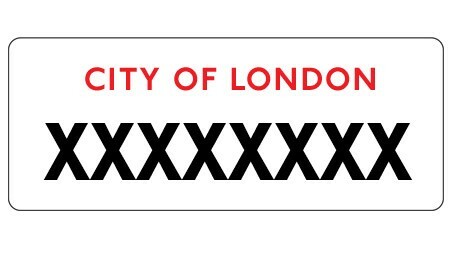 It is manufactured in vitreous enamel and screen printed in two colours using the City of London's instantly recognisable font. The sign is made to order and is supplied complete with wall fixings. We’ve included a selection of popular iconic street names in the drop down menu. But you can personalise your sign with whatever name you wish; It doesn’t have to be a street name: Put your house name, company name, a personal message – it’s up to you.